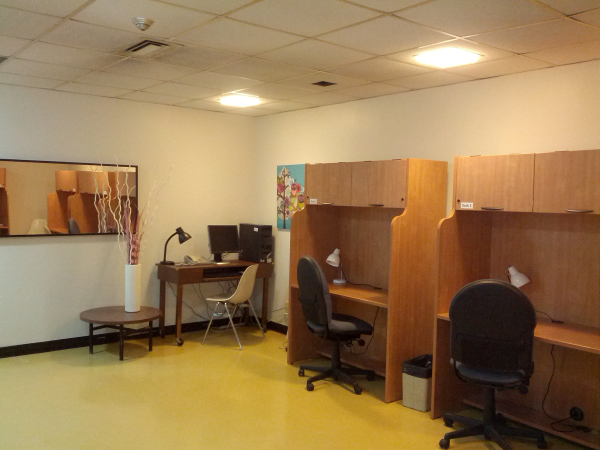 EGSS has a study space in the basement of the education building (Rm. B180) equipped with seven lockable desks. Every term, there is a random draw to assign a desk to people who have applied to use one. Send an email to egss@mail.mcgill.ca and express your interest in participating in the draw. Please include the following in the email subject: EGSS Desk Draw, The Term, and Your First and Last Name. Applicants should also attach a proof of enrollment to the e-mail. Proof of enrollment can be obtained on Minerva. If the deadline falls on a weekend or holiday, it will be extended to the next business day.